Snap Hold Kick is a non-profit organization, based in the inland empire, that specializes in teaching young Kickers, Punters, and Snappers the fundamentals of the position along with more experienced instructions for those who are at that point in their careers. We have a very skilled group of coaches that have played and are playing at the highest levels right now! We strive to provide the best services for athletes no matter the situation. Over the last decade we have been working with athletes from 8 years old up to 25 years old to help them achieve their goals to get to the next level and live their dreams of playing the game of football. ​Since we are a non-profit we keep our costs to a minimum to make sure no one is left out. We charge 100 dollars for our camp season which includes around seven camps, a competition, a dri-fit camp shirt, and exposure to the recruiting process. This price is selected to have us cover all of our costs and continue to put money into the program for the athletes so they can train with the best to become the best. To improve football-kicking skills and provide personal growth opportunities through a structured program in a relaxed learning environment. 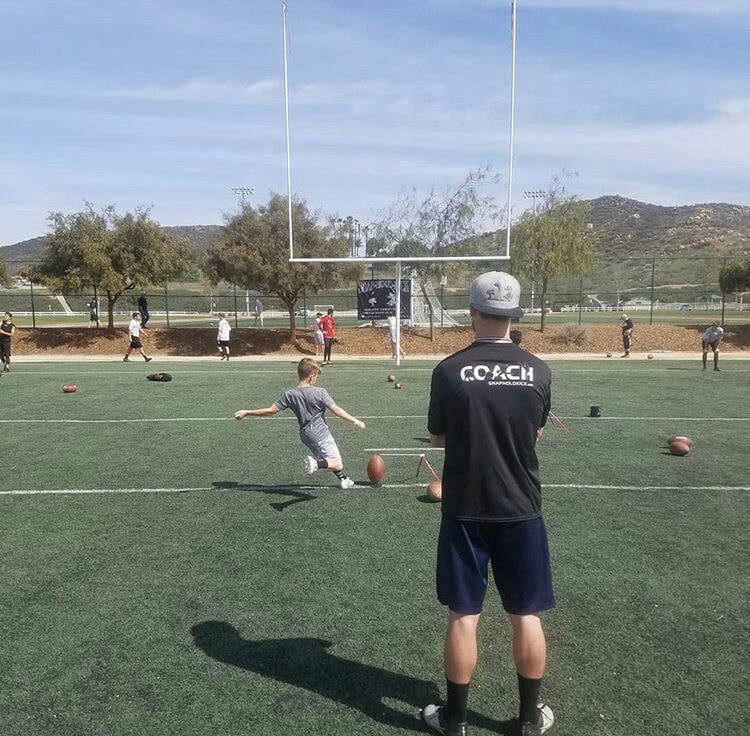 The program integrates instruction on football special team skills for kickers, punters, holders, and long snappers with speakers who present and discuss developmental life choices. This donation will go towards operations of the program in order to better serve our youth with new equipment, field cost, recruitment and life skill services. "Develop America's Youth Through Athletics & Education"
To give all youth an equal and fair (boy or girl) opportunity to participate in the Snap, Hold, & Kick program and to develop healthy football kicking and life skills without having to worry about a cost factor for the youth and families. We will work with anyone to figure out a way of payment throughout the ten session kicking season. What will be different this year? SHK will have a membership fee cost to participate in all camps and our Southern California Competition. Kickers, punters, and snappers will be ranked this season by there statistics rather than coaches opinion. At the end of every session there will be a last man standing competition to see the best of the day for all levels. Film will be taken for whoever signs up for the membership. What will the membership include? Why the amount we choose? SHK still wants to make camps accessible to our youth, especially to our at risk youth who may not be able to afford traditional camps which charge virtually double our cost for only one session. 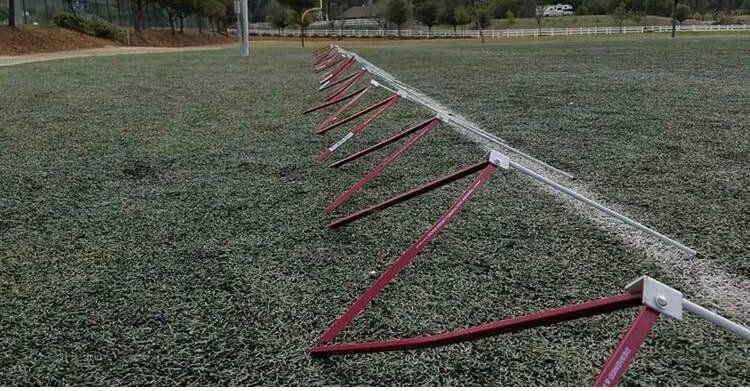 Membership fees will help cover the cost of fields, equipment and allow new services (Educational, Life Skills, Recruitment) to our participants. What if I just want to participate in the competitions and some camps? A $25 payment will be required to participate in each competition if no membership is purchased. $25 a camp session will be required if you just like to participate for the day. $20 bring your snapper and/or holder special for $5 off each. SHK serves all youth of all age groups! Checklist for the first camp! A $100 membership fee is required to complete your registration. Fill out Medical Release form located on registration page, registration section and/or can fill out at your first camp. Parent / Guardian signature is required if you are under the age of 18. You will have ALL ACCESS to SHK camps including the 19th Annual Southern CA Competition. Membership fees will help SHK cover filed cost and purchase of needed equipment to better serve our youth! Receive one on one coaching! Mentoring! Learn Life Skills and be part of the SHK family! We would love to see you at a camp soon!